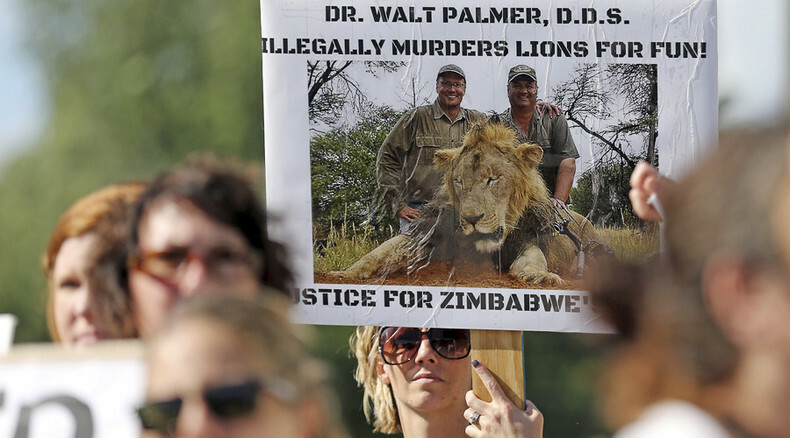 The Zimbabwean government has requested the extradition of the US dentist Walter Palmer, who killed the southern African country’s most celebrated lion, Cecil. The American trophy hunter lured the lion out of a national park and tracked him down. The US has not previously extradited an American citizen to Zimbabwe, and nor has Zimbabwe extradited one of its own citizens to the US, since the extradition treaty between the countries came into force in 2000, a State Department official told AP. The first Zimbabwean official comment on the killing came from the country’s environment, water and climate minister, who attacked the American dentist for his actions. "Unfortunately it was too late to apprehend the foreign poacher as he had already absconded to his country of origin. We are appealing to the responsible authorities for his extradition to Zimbabwe so that he be made accountable," Oppah Muchinguri told a news conference. Palmer "had a well-orchestrated agenda which would tarnish the image of Zimbabwe and further strain the relationship between Zimbabwe and the USA," Muchinguri added. The US State Department has officially stated that it can’t comment on individual extradition cases, but spokesman Mark Toner said such a request would be presented to a US court to determine its viability, AFP reported. Palmer is accused of funding an illegal hunt, and of using a crossbow "to conceal the illegal hunt." On Tuesday, Palmer insisted that his guides had told him the hunt was legal. "I had no idea that the lion I took was a known, local favorite, was collared and part of a study until the end of the hunt," Palmer said in a statement. The 13-year-old lion was an international celebrity: friendly to visitors, distinctively large and with a black mane. Cecil was also monitored by conservationists from Oxford, in the UK, as part of their program to protect lions. Two Zimbabwean citizens, a professional hunter and a farm owner, have already been arrested in connection with the killing of Cecil. "I don't believe I failed in any duties at all, I was engaged by a client to do a hunt for him and we shot an old male lion that I believed was past his breeding age," Zimbabwean hunter Theo Bronkhorst told AFP. The killing has attracted worldwide attention, causing the UN on Thursday to adopt a resolution to battle illegal poaching and trafficking of animals.